At www.randi.org/jr/101003.html I thought I’d definitively settled the “Oregon Vortex” illusion. Now a reader has sent me some photos from the “holy” site, which I’m challenged to explain. Sigh. Let’s get this over with for once and for all. In the “A” photo, the chap on the right appears to be significantly taller than the other man; he’s looking right over the top of his head. However – miracle! 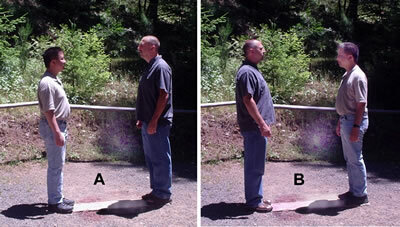 – in the “B” photo, where the two have simply switched relative positions, the shorter man appears to have grown – by several inches! This seeming anomaly is attributed – by the woo-woos – to the fact that the photos were taken at the location of the mysterious Vortex, and those who fall for the stunt just can’t figure out how a person can grow (or does the other guy shrink?) simply because of switching positions by about five feet, horizontally. But they of course accept it as a miracle, rather than a simple optical illusion – which it is. Okay. First, I must tell you that I’ve trimmed down the original photos considerably in size, to more easily present this analysis; there was lots of surround space in each of them. Let’s look at just how carefully the Vortex proprietors have set up this trick. It didn’t all happen just by accident, folks. This was calculated to deceive. Some background: One element in the success of this particular Vortex illusion is that most of us tend to assume that our senses deliver infallible evidence to our brains. There are those of us who have studied – and lived with – the actualities of illusion and the fact of witness error. 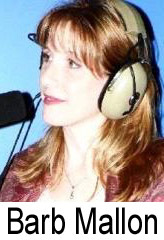 We’re also familiar with the remarkably flexible, adaptable willingness of witnesses to subtly – and often very innocently – embellish and skew their accounts to conform with the images they have reconstructed and have then firmly accepted as “factual.” We illusionists know just how error-prone the senses can be, particularly vision. Magicians depend on that weakness, one which is brought about because it’s actually essential to survival, so that our brains aren’t overloaded with what are most probably extraneous and non-essential input elements; we can ignore the parts we think we don’t need. Those faint “hallelujahs!” you hear in the distance come from the professional magicians. Briefly, an example of innocent “reconstruction”: my late friend Walter Brown Gibson developed the “Shadow” character for numerous pulp mystery magazines and it attained even greater popularity through the radio series of the same name. Walter had been a close friend of Harry Houdini, and wrote most of the magician’s books for him. Once, many years ago at a Long Island lawn party festooned with magicians, I introduced Walter to Gladys Weiss, Houdini’s sister. The two of them got along famously, and I heard Walter relate to Gladys an event that had happened to him and Harry many years before. When I was able to get him aside afterwards, I told him how astonished I was at the way his story – which I’d heard him relate on another occasion – had been very substantially transformed in many important aspects. Walter looked me straight in the eye and declared firmly that he’d told it to Gladys exactly as it had taken place. Being a writer of fiction, perhaps the man was compelled to embellish and revamp in that fashion, but I think that he believed the version he’d just given – and perhaps all the other variations, as well… In regard to this Vortex matter, I’ve had people tell me that they actually saw the second person grow – or shrink – upon mounting the other end of the board. And they did not lie, though they were wrong. They had an image, a popular and captivating one, that they’d honestly adopted and perpetuated, to the point that they firmly believed it and had left no trace of doubt nor of reflection. These two photos that were sent to me, were probably taken by a camera mounted on a tripod; the close matching registration of the two shots would indicate that (though only in the vertical sense, not the horizontal) which I can see clearly from the untrimmed, full-frame, shots that I received. We are thus provided with convenient comparative reference points in the background shrubbery. The physical location – I think very carefully chosen by those who operate the “Vortex” – provides no vertical orientation; even the upright of the pipe-fence is always occulted (no pun intended!) by one of the subjects when photos are taken. There are no accurate, clean, verticals in the surrounding background, and this helps the illusion enormously. I’m sure that my observant readers have noticed the evident anomaly here: the board upon which the subjects stand, is not square-on to the camera. It’s at about 4.5 degrees (from the photo perspective) from being perpendicular to the camera line-of-sight. And, we ask, why do the site proprietors provide a board upon which the subjects are to stand, to produce this miracle? Two good reasons present themselves. 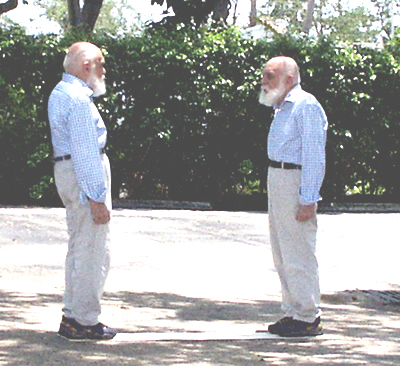 One: the subjects are constrained to stand with their feet together. Splayed feet tend to spoil the effect, and would make evident the fact that we’re seeing a more frontal view of each of the right-hand figures. In fact, careful examination of the two right-hand figures in the pair of photos, will show this “more frontal” aspect. Two: the board may seem, to the casual observer, to be pretty well perpendicular to the line-of-sight, which it is not. Though we “see” in the photo only a 4.5 degree counter-clockwise rotation from the perpendicular, the actual presentation is much greater; we “see” a foreshortened view due to a low camera angle. I’ll give you a simple diagram up ahead to show you the actual angle of the board to the line-of-sight. The skewed board is essential to the illusion, as we’ll see. Finally, I think this next treatment should close the subject for good. I estimated the board shown in the photos I received, to be about 10” wide and 60” long. In the parking area at the back of the JREF, I arranged a setup approximating the one the Vortex proprietors have going for them in Oregon. That resulted in the third photo shown here. The actual angle of the board to the camera line-of-sight, is shown in the scale diagram, a view-from-above; it’s about 23 degrees – though as explained above, the low camera angle foreshortens the view and it appears to be inclined only 4.5 degrees. With my camera mounted on a tripod, I simply stood at one end of the board for the first exposure, then I transferred to the other end for the second. The two positions are shown as “X.” I then “photoshopped” the two exposures together. Also, I leveled out the orientation of the board I was standing on, as in the previous rotated set of photos shown above. The sizes of the figures were not altered in any way by processing. I appear taller in the left-hand image simply because I’m closer to the camera! Why couldn’t the astonished Vortex fans have thought of such a simple solution? Folks, it’s because they don’t want a solution; they want a mystery, and they cherish it. Experienced puzzle-solvers will recognize this illusion as a variation of the old "Ames Room" that used to be popular at carnivals... Look it up at http://en.wikipedia.org/wiki/Ames_room. Of course, if anyone chooses to believe that I have a convenient twin brother who is taller than I, they can ignore this altogether. My mention last week of politician John Jacob’s conviction that Satan’s interference brought about his recent loss at the polls, brought a news item from reader David Harley. He asks us to pity the people of Zimbabwe, formerly known as Southern Rhodesia. That’s the small country bordered on the south by South Africa and on the east by Mozambique. The president of the country is Robert Mugabe, popularly known as just, “Bob.” His eccentric behavior has brought the country to ruin, and as often happens, citizens are looking to the supernatural for explanations and solutions – rather than considering that Bob is just a failed leader. 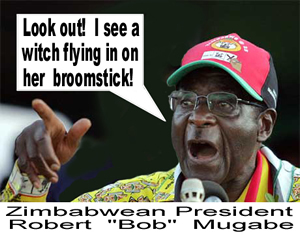 Well, Bob has now brought Zimbabwe right up to twenty-first-century standards by validating the existence of black magic. You see, in 1899, the British occupiers had passed the “Witchcraft Suppression Act,” which (a) stated that witchcraft did not exist, and also (b) criminalized accusations of witchcraft. Sounds like a good move to me, but Bob needs woo-woo in place to distract the populace – sort of like we in the USA need faith-based decisions and constant reminders of the power of prayer, to keep us placated. And, obviously, any denial of British standards and impositions is welcome. From this month, the law that made it an offence to accuse someone of bewitching you has been scrapped. We… recognize the existence of witches and witchcraft… It is now possible to accuse someone of bewitching you… The sticking point… will be proving before a court of law how someone whom an autopsy report says died of heart failure was, in fact, bewitched by an envious relation. Well, let’s hope that the Zimbabwe courts are more perceptive and sensible than the sociology department at the University seems to be, but Mararike celebrated the fact that many such cases would go to the “chief’s courts,” local traditional assemblies where far less stringent burdens of proof are in place. Mararike has gone all the way to woo-woo in accepting the powers of witches. 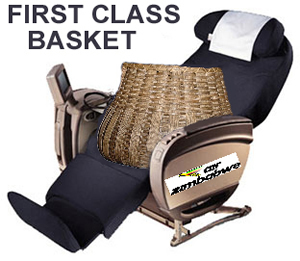 He says that a witch with powerful muti [magic] can fly back and forth between Harare – the capital city of Zimbabwe – and South Africa in a reed basket, and that scientists of his country should now try to “develop the science, patent it and market it.” We presume that it will be possible to book tourist-class or first-class baskets on Air Zimbabwe…? …concerned that the repeal of this law could see family members turning against each other and accusing relations of being witches with abandon… the only true protection against witchcraft [is] faith in God. So, it seems, the witches are back, and the only solution is to bring on the Big Guy who has stronger muti. Note that the existence of witches is easily accepted by the clergy, who offer their own magic charms as protection. Is there no one in Zimbabwe who will stand up and declare that belief in medieval notions – including eternal life, ghosts, devils/demons, and charms – is nonsense which with the help of Big Bob is keeping this country from moving ahead? It would be well to note the legal disclaimers that are found on the sites of the “psychics.” They’re often drawn up by lawyers who of course try to leave no possibilities for legal action against their clients. This carefully-crafted example is from a Barbara Mallon, who has it on her site: www.barbmallon.com/index.htm. By agreeing to receive a reading or any service on this site, you agree that your consultation, whether purchased for yourself or you received as a gift, is subject to your own interpretation. Any information provided (whether it be through a reading, class, workshop, any other service, or any event listed on this website) does not constitute legal, psychological, medical, business, or financial advice. Choices, and/or actions based on the content of your reading or service are your responsibility. This is only another avenue of inspiration and is not to be a substitute for professional care. If you are in need of professional assistance (i.e. doctor, psychiatrist, lawyer, financial advisor, etc. ), please seek it. This is NOT, nor does Barb Mallon imply anywhere, that this is fortune telling. We have free will, can change our path, and are in charge of our own lives at all times. All readings will be conducted solely upon the discretion of Barb Mallon. If for any possible reason Barb decides the reading should not take place, she maintains the right to refuse services. Readings conducted under false pretense will be deemed null and void. At www.randi.org/jr/2006-06/061606patent.html#i13, June 16th, I told you that I’d sent off official, certified, letters to two wine experts, offering them the JREF million-dollar prize if they could detect any effect from the silly magical epoxy disk that Robert Catania sells to improve wine. That was a month ago. Even for a million dollars, neither Marvin Shanken of Wine Spectator Magazine – the world’s largest publication on the subject, nor Matt Shaffer of Food & Wine Magazine and the Boston Herald, have responded! Um, why not, guys? You don’t want a million dollars? Or are you not really wine experts, but you’re willing to plug a bogus device just to fill media space? In other words, are you dense, mendacious, or avaricious? Or any combination of those…? Your subscribers would like to know. I recently picked up in my library – again – a copy of the Random House paperback edition of “Extraordinary Popular Delusions & the Madness of Crowds,” the combined three volumes of Charles Mackay’s “Memoirs of Extraordinary Popular Delusions,” first printed in 1841. This is a dangerous book to casually glance through unless you’re prepared to curl up and seriously learn about the foibles of a previous age that don’t sound all that new to your ear because their remnants are still with us. Alchemy, the Crusades, witch-hunts, "get-rich-quick" schemes, magnetic healing, fortune-telling, haunted houses, all are still here – some under different names, it’s true, but basically the same scams and disasters. Author Charles Mackay was born in 1814, the son of a naval lieutenant. By the age of 16 he was writing articles for a local newspaper, and at age 21 he took a position with the Morning Chronicle in London. Working on that same paper at that time was a man named Charles Dickens, who was only two years older than he. Mackay moved from newspaper to newspaper, and became a successful poet and song-writer, having developed a profound concern for the laboring classes in his country. His poetry was collected under the title Voices from the Crowd. Some of his poems were set to music and became very popular. In 1841 Mackay published “Memoirs,” and the work has been reprinted and circulated widely ever since. Among the financial “bubbles” described by Mackay in this book, is the Dutch tulip mania of the early seventeenth century. The whole thing began in 1559 when the first tulip bulbs were brought in from Constantinople to Holland and Germany. It became fashionable to have tulips in residential gardens, and soon the flowers became status symbols for the wealthy, because they were beautiful, expensive and hard to get. As we might expect with such a sudden fad, the speculators quickly moved in. Eventually, the major buyers were in it only for the money, there was heavy trading activity, and tulip bulbs emerged on the local market exchanges. By 1634, the rage for owning tulips had spread to the middle classes of Dutch society, and within a year, a single tulip bulb was sold for nearly $35,000 – in present-day currency. The false expectation that the bulbs would continue to grow in value, fueled the frenzy. Yes, most of us are limited to the experiences of our own lives and times. Charles Mackay's book provides us with a much wider perspective on human nature, with spirited histories of mass delusions and popular fads that we would find somewhat familiar. His subjects are fascinating, and his message comes to us clearly across 165 years: human nature doesn't change very much. 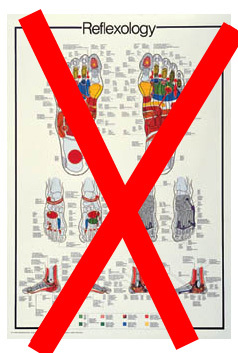 I was about to order some of your fantastic science posters, until I came across your Reflexology poster. Are you unaware that Reflexology is NOT a science but a pseudoscience, ie: it's absolute rubbish, and any perceived effects are purely psychological. Yes we realize that reflexology is a pseudoscience, along with divination, tea leaves, palmistry, and iridology. However, some of the people that order medicinal herbs also order the reflexology poster for their "clinics." Climatology with the global warming issues that are prevailing might also become a fringe science someday, since we really do not know where we are going with that. We try to offer a lot of different subjects and maybe this one we ought to reconsider. "Our progress as a nation can be no swifter than our progress in education" – J. F. Kennedy. The progress of the great nation of USA will unfortunately be slowed-down considerably if mystical thinking such as reflexology is allowed to pervade the minds of children and adult citizens. It is vital that the distinction between science and pseudoscience is obvious and clear. This is why it is essential that otherwise excellent websites such as Science Mall - USA make this distinction open and clear. OK. I do see your point. Thank you for your opinions and insight in this matter. The reflexology has got to go. I made sure it was taken off, and I do not see it anywhere else on the website. Thanks, Mario and Jon. Let me know your opinions always! I am so pleased that someone has actually listened to what I had to say and I feel Sarah Kennedy should be commended for her actions. Wow, success! Thanks again Jon! Yes, my thanks go out to Mario and Jon for caring enough about the integrity of science, to bring Sarah Kennedy’s attention to this lapse. And of course Sarah herself gets kudos from all of us for having handled the matter with integrity and decisiveness. That such a reaction is so rare, is the calamity that should command our attention. Correcting simple errors of judgment or of unwise decisions should be more common and even laudable. Ms. Kennedy has shown her willingness to listen to appropriate advice and to react accordingly. I hope that Jensan Scientifics is aware of her dedication to seeing that their website reflects a commitment to truth and accuracy. Here’s another video clip you might enjoy. It’s an Australian adaptation of “Magic or Miracle?” – a title that means “Magic or Magic?” and really annoyed me. I had suggested “In Search of a Miracle,” but was voted down because NBC-TV thought it might offend some religious sensibilities. That’s never been much of a concern for me, since religious nut-cases have been offending me for decades. George Schlatter of “Real People” and “Laugh-In” fame was the program producer. It’s to be found at http://video.google.com/videoplay?docid=3999493355358083404.